Today, legendary New Jersey thrashers OVERKILL have announced their upcoming eighteenth album. The Grinding Wheel. 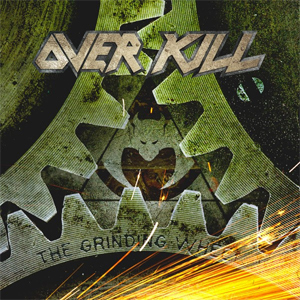 The Grinding Wheel was produced by the band and mixed by Andy Sneap (TESTAMENT, EXODUS, ACCEPT). The artwork was created again by Travis Smith (NEVERMORE, OPETH, SOILWORK, DEATH). "Let's All Go To Hades"